Welcome to our Testimonial Page. With modern technology and quality care, Compassionate Dental Care is able to create beautiful smiles for patients. Regardless of what dental issues you may have, we listen to your wants and needs to determine a solution. No challenge is too great—even if it’s been many years since you’ve been to a dentist. Here is what a few of our patients have to say about their experiences at our office. Love Dr. Mary and Dr. Bob they are Excellent Dentists! They make you feel at home when you are in the office.The staff is very friendly! The experience is like none other, Dr. Mary and Dr. Bob will give you the care as if you were part of their family. Very important the office is clean and sterile. Dr. Bob always walks you through the process and explains the procedures he performs. He also gives you regular updates as to his progress. Really, the best thing is that he's not judgmental about the state of your teeth. He understands that you didn't *want* to have fillings or work done, maybe it just sort of happened due to things that may or may not have been within your control. Hey, we don't all have perfect teeth - maybe you were a smoker, drink lots of coffee or tea, have acid reflux, grind your teeth, or some other issue that led to your decay. Also, he doesn't constantly drone on about dental care nor does he try to make you feel bad by talking down to you or laying blame on you about the state of your teeth. That's not to say he doesn't promote proper care, he just doesn't beat you over the head with it like some dentists. Having a good attitude is probably the biggest difference between Compassionate and my previous dentist. I'm not going to say I love going to the dentist, but I don't dread it like my old dentist. You don't feel like you're getting called to the principal's office to be berated. Well, what I would imagine you'd feel like.... Take all that and add in the fact that he really takes pride in his work and teaching others and I don't think you could have a better dentist. Very professional. Seem to really care! As always, very accommodating! Appreciate the kind and gentle manner in which my dental issues are handled! I am no longer afraid of going to the dentist after seeing Dr. Mary. She makes you feel at ease. The dentistry is very sanitary. They take the ultimate care in providing excellent service and making patients comfortable. Drs. Bob and Mary are kind, wonderful providers. They are very concerned with your well-being and comfort. Their work is top notch, facility clean and welcoming. They always explain what they are doing using all state-of-the-art technologies. It is a great place! As I indicated to you and Laura Dr. Mary, I drive three hours from Long Island, NY to go and be stuck, drilled and sawed because it is all done with compassionate care at Compassionate Care. Your facilities are ultramodern, clean, and your decorating is super! Your rapport with your patients is super. I like all the pre-cautions such as, "You will feel a slight prick", or the questions such as, " Are you comfortable"? The rapport between you and your staff is friendly, reassuring, and sometimes educational. I wish I had always had you as a dentist, then I would have all my teeth intact instead of having (00) fewer. I am glad I was referred to your office. Best regards to you and your staff. Steve Sumner. Really good dental care! The dentist's actually take the time to talk to you. I was really nervous and they helped me work through it! I drive about 40 minutes just because they are just that good! This is the only Dentists office I absolutely do not dread going to. As soon a you walk in there is a very zen like feeling. The doctors are truly concerned about helping one maintain their Dental health in an atmosphere of comfort..
As in the past, I had a Fantastic Experience! Dr. Mary & Dr. Bob always have my best interests at heart every time I visit them and truly feel like they treat me as if I were just like one of their family! 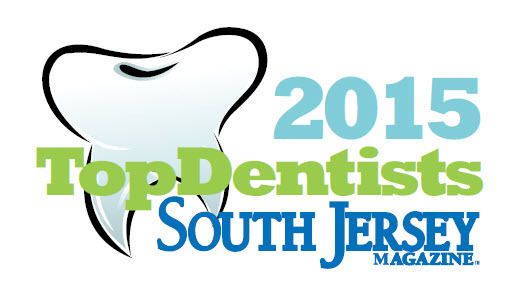 If you're not going to them for your Dental Services you're missing out on the best-keep-secret in this region! I started going to Compassionate Dental Care in December 2014 and my experience there has been nothing short of exceptional. Drs. Robert & Mary Frare have provided outstanding dental care for me. They truly care about the comfort and experience of their patients. This is an outstanding dental office and Dr. Bob & Dr. Mary are the best in the business! I love this practice! Drs. Bob and Mary are extremely professional. They brought me right in as a new patient with a tooth problem When I returned for a cleaning, my teeth looked whiter than they have in years! I have already referred my friend and husband to their practice. Drs Mary and Bob are just the nicest people and awesome dentists! Their staff is great, offices state of the art and stylish, equipment is top of the line , they always fit me in for broken caps or any emergency as well as regular cleanings. I always catch up on my sleep while Dr Mary is working on me- somehow she casts a spell over me so I relax and feel no pain, she's simply amazing. How many people can fall asleep in a dentists chair?!! I never did before coming to compassionate dental!! Recommend 100 percent!!! As always, our family visit to see Dr. Mary and Dr. Bob was nothing short of great. My kids just love seeing them and having that one on one attention. They feel that it is a nice treat. They also got their goodie bags which helps make their dental experience great and promotes good dental hygiene and practice as young kids. They are very thorough and the care is personal. I rave about our dentist to anyone. This is how it should be. This practice does it right and more! We love our dentists!!! Love this place!! I finally do not panic when I have an upcoming dentist apt. It is like no other dentist I have experienced. They truly care!! Both Doctor Mary and Doctor Bob were amazing and so nice. Prompt and caring service. Dr. Mary is very thorough and makes sure each procedure is done carefully. Absolutely wonderful, as always! Dr Mary is so spectacular, I cannot even express how kind and compassionate she is, how comfortable I feel in the office and her care, she is simply the best dentist I have ever been to! I had the best experience with Dr. Mary and Dr. Bob...I have highly recommended them to all my family and friends....The name of their practice suites them well....plus they are very affordable prices and very professional.....Thank you Dr. Mary and Dr. Bob! From the time I walked in until I left, I was treated with sensitivity. Both Dr. Bob and Dr. Mary took the time to explain in detail what they saw on the x-rays. Dr. Mary took great care to see that I was comfortable in the chair while she was working on me. I feel confident that decisions will be made that are unique to my own individual needs. Wonderful people and dentists, make you feel at home, and do a great job too! Dr. Mary and Dr. Bob are such great dentists! Dr Mary is very thorough, has a very gentle touch, practices safe and sterile/clean techniques and great with our kids! The practice is very accommodating, scheduling is easy even for our entire family of 5! The kids very much look forward to their dental appointments like they're going to an amusement park. They just love it there and quite proud when they come for their visit. The office is just lovely and very tastefully-decorated, very clean, and a kid-friendly waiting room. The equipment is state-of-the art, well-maintained and spotless. I have recommended our friends and family to this wonderful, wonderful practice...we highly recommend it to anyone looking for, just that... "Compassionate dental care." What you will get is great dental care with a personal touch like you're family! Just can't say enough about them! I was taken care of promptly. I had a limited window due to my work & taking care of my infant and they were very understanding and accommodating. Dr Mary is the best dentist I have EVER been to! She always fits me in, for dental emergency or routine care, is incredibly adept at giving me the numbing shots so I don't even feel it. Her work is incredible. The office is immaculate and stylish. My fear of dental visits has gone from a 10 to a 1 with her and I literally can fall asleep in the chair while she works on me. I cannot praise her enough! 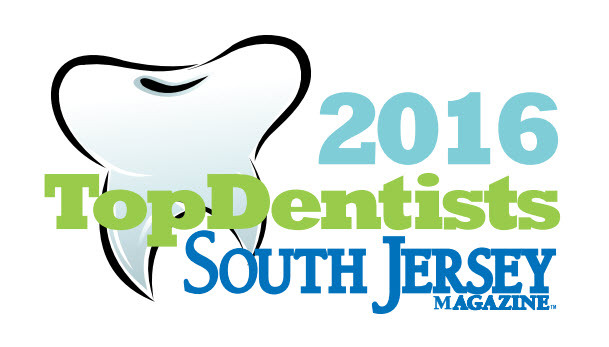 Best dentist in voorhees area hands down! We loved the detail that was displayed when asking questions. The care you took when working on my teeth. Already have recommended 2 family members to you guys. Never knew going to a dentist (or any health care office) could be so easy and hassle free. Also never knew dental care where the dentist was the one doing all of the work. Excellent practice, will continue to recommend to all my friends! Very professional and caring for they patients. Drs Mary and Bob are absolutely awesome, just the nicest pair of dentists I've met in years, or ever! I have major dental phobia, but over my last 2? Years of visits to them I have felt so comfortable, even to the point if falling asleep in the chair last week while having a tooth filled! The office is immaculate and state if the art with fab interior design touches and amenities. If my kids didn't already have a dentist I would bring them too. But I highly recommend to everyone!! Plus their cat lovers so of course their great people! I was very happy to meet both the Drs and the work they performed. They were very friendly, patient and took the time to explain in detail. I received a thorough dental cleaning at Compassionate Dental. Dr. Frare was very gentle and told me everything that was being done which put me at my ease. She gave me suggestions to maintain good dental health, I will recommend Compassionate Dental to friends and family. These are two of the nicest people I've met in my entire life. Not only were they beyond pleasant, but they took the time to thoroughly explain to me everything that was going on as they were performing my check-up and X-rays. Once again, I couldn't be more pleased with my experience. I've found my new dentist and I would recommend them to anyone. Dr. Frare is meticulous, careful and truly compassionate with her patients. I've never particularly enjoyed dentist visits, but I'm much less fearful now that she is my dentist! Best service I ever received from...Best service I ever received from a dental office. Accommodated me in every way. Couldn't be happier more pleased with how compassionate and concerned Dr. Mary is! So thankful for her care! The physicians in this practice could not have chosen a better name than Compassionate Dental Care! A clean professional practice with state of the art equipment! I found this dental practice in my provider list from Independence Blue Cross website and since I just moved back to the area I chose this location because it was most convenient for me. Boy am I glad I did. The practice is beautiful and brand new. Not only was I impressed with how clean it was, Dr. Mary far exceeded my expectations. I had a routine cleaning and by the end of the appointment I felt like we were old friends. Compassionate is the perfect word to describe her and when I came in a few weeks later for a filling I met Dr. Bob and he was just as friendly and kind. The filling was painless and she was very gentle. I don't look forward to going to the dentist but now I don't feel like I have to dread it every 6 months. I won't be going anywhere else and now my parents have become patients. Compassionate Dental Care is by far the best dental practice that my family has ever experienced! 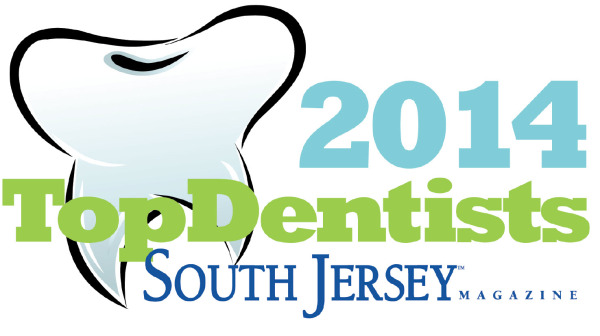 My children were well over-due for a routine dental cleaning, so after reading a few reviews for dentists within the Cherry Hill area, I decided to book their appointments with Compassionate Dental Care. The rave reviews that helped me determine where I should take my children were not an exaggeration. Upon meeting Dr. Mary, my children and I were completely put at ease. She is both incredibly warm and amiable while being very professional. She advised me that my kids each needed a follow-up procedure, and we were able to quickly schedule the follow-up care for the next week. My nine-year-old daughter needed to have a tooth pulled, and it is to Dr. Mary's credit that she came out of the office exclaiming "I didn't even feel it when she pulled the tooth!" My son had a deep cavity filled, yet he remarked, " I knew that she was drilling but I couldn't feel a thing!" Both of my kids were wary of the anesthetic needle that they were expecting prior to their procedures, but neither of them felt the needle at all! Dr. Bob was also very personable; he was sure to fully explain my bill clearly, so that I had no billing surprises (which I have frequently experienced at other dental practices). The day after the tooth-pulling and cavity-filling, Dr. Mary called to check up on the kids. My family has finally found a dental practice that we can feel comfortable going to for years to come. Very compassionate! Everything is fully explained. All worries are put to rest. A very pleasant experience. Highly recommend this dental office. It was execellent! Mary is nice and careful with everything to make sure I don't feel pain or any discomfort. My first experience with Dr. Mary and Dr. Bob was with replacing a cracked crown. The work was excellent and there was absolutely no discomfort during the process. Follow on cleanings have been very thorough and pleasant experiences. The attention to detail is wonderful. And the doctors advise on what I can do to maintain and improve my dental health in a positive, supportive way. Thank you! As long as I live within driving distance to Dr. Frayer I'll be coming back to her. I had such a great time at my cleaning, it was like visiting a friend, and we just met that day. Dr. Mary was so patient, knowledgeable and friendly. She answered all my questions and also let me know exactly what she was doing as she was doing it so there were no surprises. This was also the first time where my Dr. actually conducted the x-rays and cleaning versus a dental hygienist, it was great to have more than 2 minutes of face time with my dentist. The staff is so friendly and personable. Very kind and helpful with all questions and procedures. After my first visit we set an appointment to get my tooth pulled. That was a Saturday. Later that day the nerve became extreamly eritated and I called them the same day. They told me that they could open there office for me on Sunday the next day. They extracted my tooth with excellent profession and I was in and out in no time. I can not thank them enough for truly living up to there name within the first 48 hours of knowing me. Once again thank you! Excellent all around! Drs. Mary & Bob were helpful, personable, and very patient with my questions. Debbie at the front desk was great too! They have all the latest tools and technology and showed me where areas of concern are on the xrays or of my teeth and gums right on the digital screen display even with an 'live picture' and let me make the informed decision. Can't say enough good things about my impressions and overall experience! More Dentists & Dental Practices should be like them! Had a filling put in, Doctor Mary was Outstanding, no pain, beautiful work. I highly recommend this dental office. Compassionate Indeed...The dental services performed by Dr. Mary & Dr. Bob truly defines the meaning of compassionate. On entering their tastefully decorated waiting room you are greeted with smiles, that instantly calms your nervousness. Hygiene is foremost in this office, every thing is disposable even the holder for the bibs (they do not use chains to secure the bibs). Their state of the art technology are assets, not only to them but more so the patients who are enlighten as they visually explains their observations. Dr. Mary's cleaning was on point, no laceration of my gums. I did not even gag. I am confident that Dr. Mary and Dr. Bob could enhance anyone's dental situation with their compassionate team service. Try Compassionate Dental Care and you will have no regrets. I have come from a person that actually has a fear of Dentist as well as many bad experiences to a well educated and involved patient. The work Dr. Mary has done is incredible and pain free. Dr. Mary is a perfectionist and has hands of gold. I am so glad I found Her and would without question recommend her to the fear full 100%. Debbie is outstanding always eager to help. Painless, very understanding, not rushed at all .I recommend Compassionate Dental care to anyone who is scared. Painless, really! Fast and Friendly...Received 2 fillings at this office. They were done quickly and professionally. The associates were friendly and sociable. The name of the dental practice truly indicates the style and type of service you will receive with Dr Bob and Dr Mary. I recently had a tooth extracted by Dr Mary and afterward wondered if Dr Mary even had her hands in my mouth. The relaxed zen like atmosphere is very comforting. Thank You. Great office! I felt very relaxed and welcomed to their new office. Everyone is so nice. The doctors make you feel at ease.